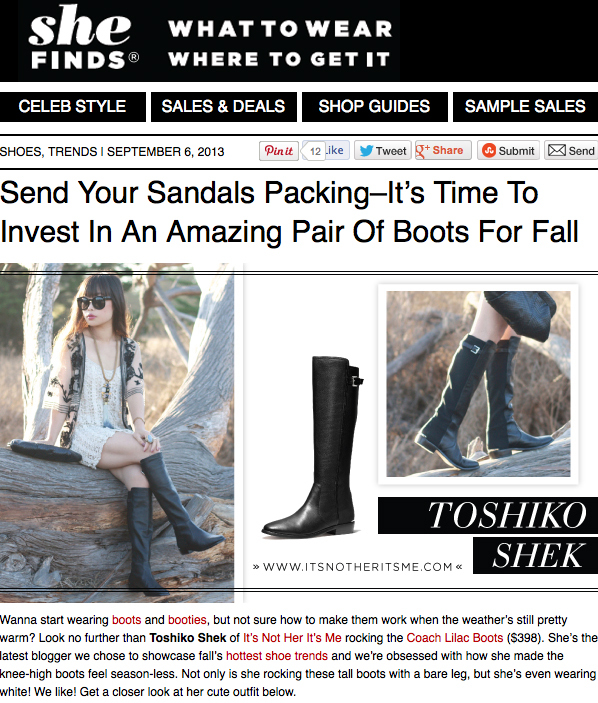 Last month, I was contacted by SHEfinds and asked to be part of their COACH Fall Shoe Preview feature. Needless to say, I said yes. Coach sent over the beautiful Lilac riding boots from their fall collection for me to style. Check out the full article here and check back tomorrow for a detailed post featuring photos from this shoot and more info on how I styled the outfit. I love when it gets cold enough to wear boots! All of these pairs by Coach are beautiful!